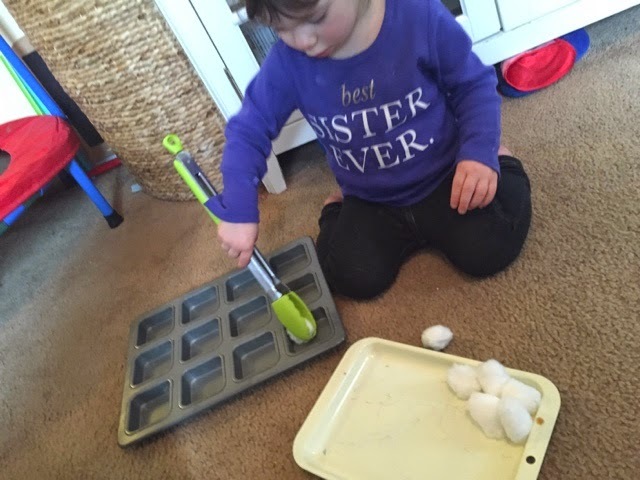 With just a muffin tin and some fine motor tools you can use household ingredients to work on counting and motor skills! 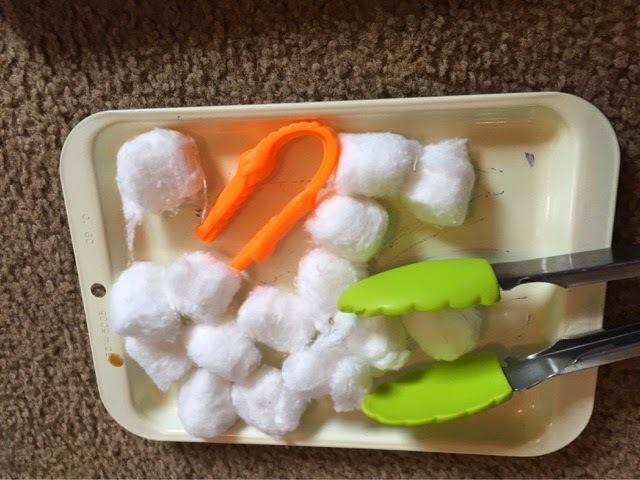 Because we have been working on winter-themed projects, we used cotton balls and marshmallows as our counting materials. 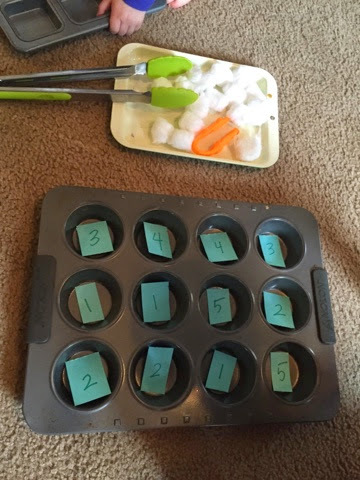 I like to use tweezers and large tongs for fine motor skill building and then put numbered papers inside of the muffin tins to encourage counting practice. The kids got right to work! 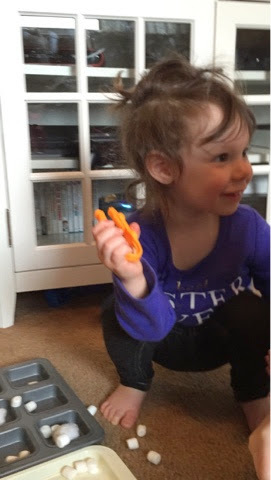 Ava (18 months) was able to use the tongs and tweezers for the first time and was extremely proud of herself. 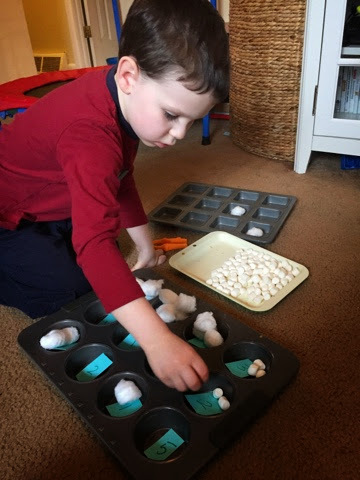 Mack (3) loves the counting practice. 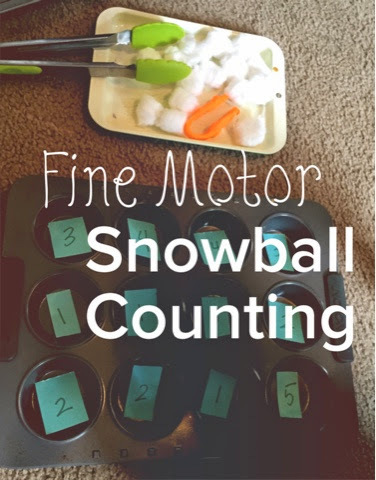 This is so easy to setup (and cleanup) and changing the counting materials for varying themes keeps the kids engaged in the activity, they love it every time!